Now you can create professional-quality printable Santa letters from home in just minutes. 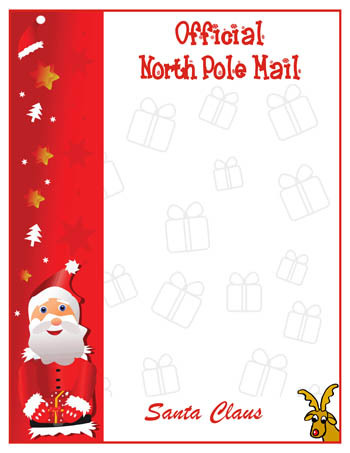 We make it easy to create great looking letters to kids from Santa Claus. Choose from two letter options, or write your own text! Then select one of the colorful background designs. 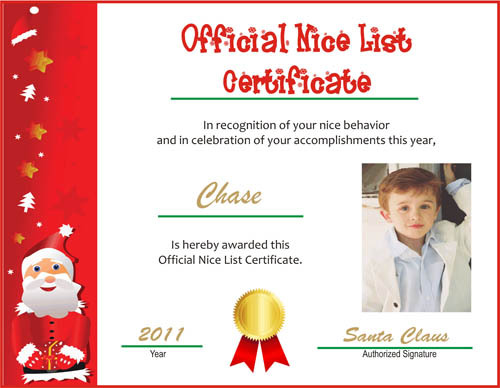 Finally, upload your child’s photo to create a printable Nice List certificate with your child’s photo! Imagine the look of surprise and delight on your child’s face when they receive their personalized letter from Santa and a Nice List certificate customized with their own photo. 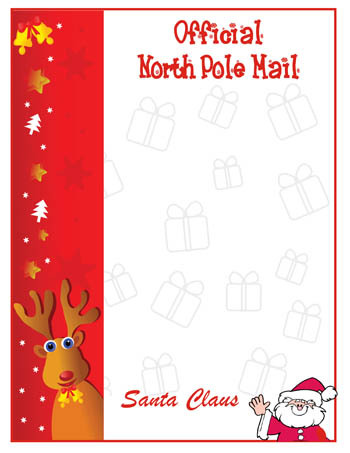 It’s easy to create your own letter from Santa Claus and personalized Nice List certificate. Simply answer the questions on the next page, upload a vertical close-up photo of your child (school pictures work great! ), preview the results ancheck out. You’ll receive a link via email in just minutes so you can print your personalized letter and certificate from Santa at home. Ready to create your own letter from Santa Claus?